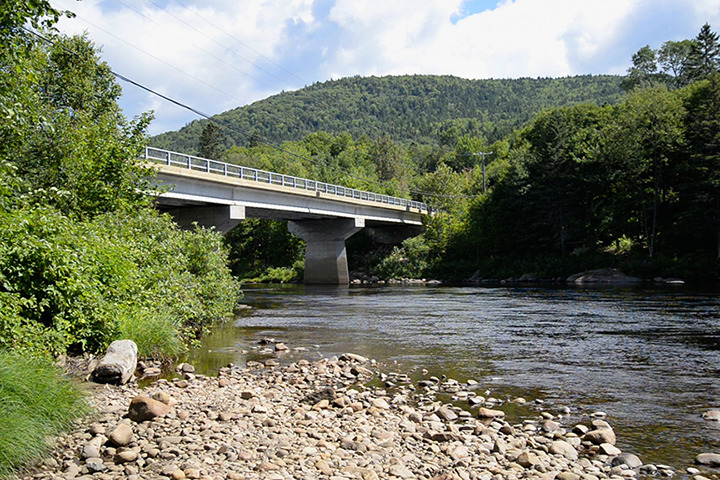 A few kilometers from here, the road crosses the Jacques-Cartier river again. 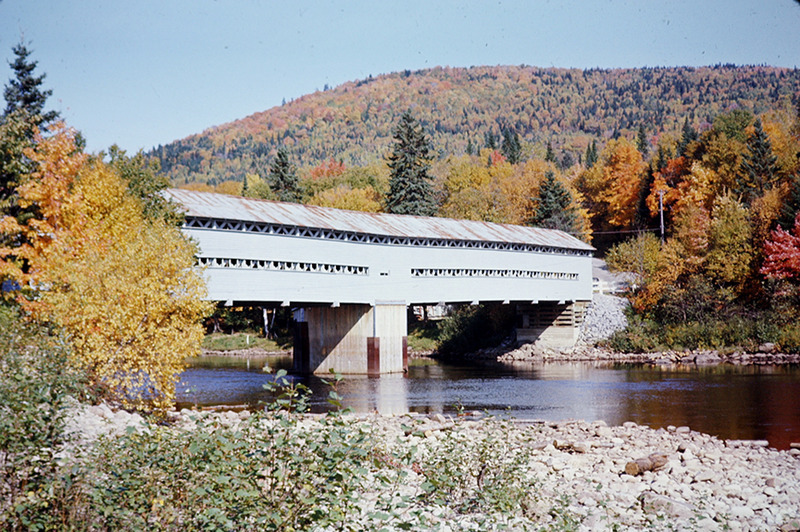 A covered bridge was built in the winter of 1939-1940. 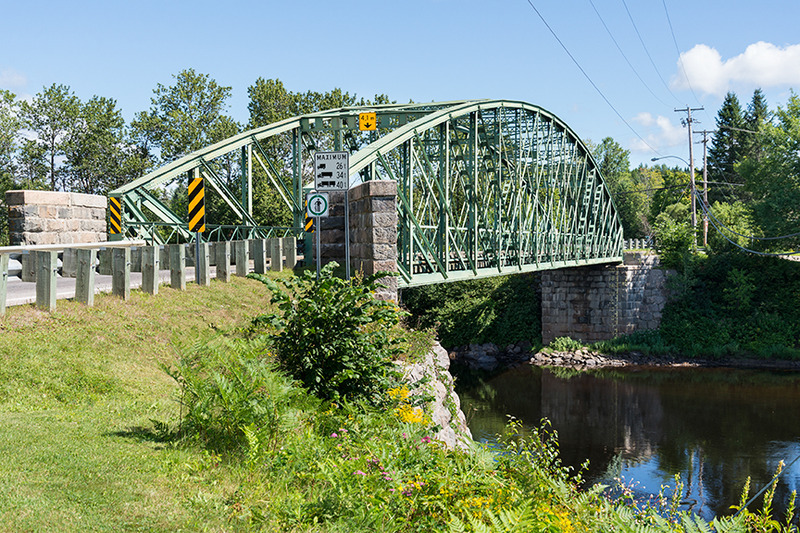 It burnt in 1972 and the current bridge was built in 1975.